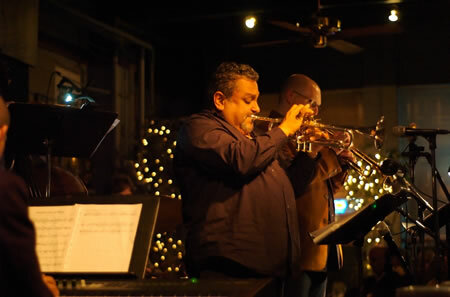 New York trumpeter Ray Vega will be in Seattle this weekend so the East-West Trumpet Summit will take the stage at The New Orleans this Friday. Earlier this year Vega and Thomas Marriott’s CD reached #1 on the JazzWeek National Airplay Chart and continues to have a strong presence across the country, currently holding the #14 spot for all of 2010. Marriott’s regular Friday quartet will back up the dueling trumpets, Rick Mandyck on piano, Phil Sparks on bass and Matt Jorgensen on drums.